CHERRY HILL, N.J. - Jan. 9, 2017 - PRLog -- The Inside Baseball Coaches Clinic January 12 to 14, 2017 will feature presentations by the nation's top coaches including Ty Megahee of West Kentucky University as well as Michigan State, Louisville, PENN State, Virginia Tech, Kansas State and many more. Industry experts from Baseball America have called our coaches "some of the brightest minds in the game today." We are featuring 15 renowned coaches, presenting over 60 powerful and insightful talks covering topics including in-game coaching, pitching, hitting, fielding, speed, arm care, functional strength, mental edge, and much more. 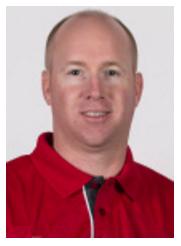 Ty Megahee, who was a former assistant under Pawlowski at Auburn, will be entering his second year at WKU as the team's recruiting coordinator and infield coach after reuniting with Pawlowski back in the summer of 2015. Megahee came to The Hill after two seasons as Mercer's hitting coach where assisted his alma mater in winning 73 games over the past two seasons, including a 2015 appearance in the NCAA Regionals where the Bears lost a pair of one-run heartbreakers to host Florida State and Auburn. A key proponent of Mercer's success was Megahee's player development, as he helped guide a youth-laden squad to a banner year in 2015 with Southern Conference regular-season and tournament titles and the program's third NCAA Regional appearance. Megahee took over as the Bears' hitting instructor in 2014 while also working with the program's defense. Megahee came to Mercer after spending the previous four seasons at SEC power Auburn with Pawlowski. From 2010-2012, Megahee served as the Volunteer Assistant Coach at Auburn before being elevated to Assistant Coach for the 2013 season. While at Auburn, Megahee filled a variety of roles. Megahee served as the team's outfield coach in 2010 and 2011, coached the team's catchers in 2012 and worked with the catchers and infielders in 2013. He spent two seasons as Auburn's first-base coach and two seasons as the team's third-base coach. From 2006-2008, Megahee served as the volunteer assistant coach at Mercer. Megahee played an integral role in the growth of Mercer's program. Mercer appeared in three consecutive Atlantic Sun Tournaments during Megahee's first stint with the Bears, including two A-Sun Tournament runner-up finishes. Learn firsthand baseball insights from legendary Ty Megahee. Register for the 2017 Inside Baseball Coaches Clinic by visiting www.insidebaseballcoachesclinic.com (http://www.insidebaseballcoachesclinic.com) or calling (973) 921.0400 today!